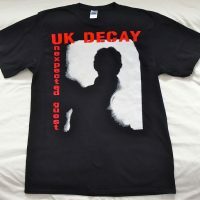 LIMITED RE-ISSUE OF YAK FAVOURITE “DEATH SO FATAL” Only £8.99 inc.free shipping* SORRY SOLD OUT! 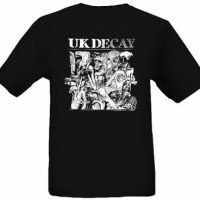 Other T Shirts designs include “RISING FROM THE DREAD” , “SPLIT SINGLE” , “SEXUAL/TWIST” and “NEW HOPE FOR THE DEAD” all available in Standard, Ladies and Premium shirts at sale price. We also have a few 7″ Vinyl available at sale price. Our Autumn sale will be open until either we run out of items or until November 30th 2017. 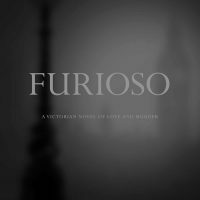 UK DECAY’s sticksman Raymundo has written his first book “FURIOSO” a Victorian Gothic Crime Novel it’s available for 0.99p for a short period. 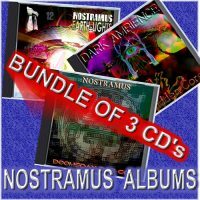 Steve Spon in the guise as “NOSTRAMUS” has several products available in a bundle of three one hour long CD Albums for just £16.49 including free shipping. Spon has produced four albums for artist writer ELLA JO of which four are bundled together for just £20.00 inc free shipping. Finally if you have kids between the ages of 5 to 11 years there are three Gwubbins The Witch Audio/Musical stories bundled together for only £15.00 inc. free shipping , beautifully narrated and with music and sounds to keep the kids happy on long car journeys or at bedtime! 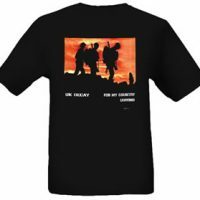 All prices include free shipping to the UK and reduced shipping elsewhere. Werewolf note: “I am try to accept payment via crypto-currencies such as Bitcoin because I see this as the future of world transactions. The only problem is that I need a third party i can trust. Watch this space.. Here is an update for the Wonderful Town Project. To date over 850 physical copies and over 1000 downloads have been sold to Hatters and Decay fans throughout the UK and Ireland and Australia, Austria, Belgium, Brazil, Canada, France, Germany, New Zealand, Norway, Poland, Portugal, Spain and the USA. The Hatters Hatters video has had over 12,000 views on the Club’s You Tube channel. The release attracted local, regional and national radio, press and TV interest, including features on Diverse FM, 3CR, Anglia news, 5 Live and The Luton News and the Daily Telegraph. There is still remaining stock for sale in the Luton Town FC club shop in the Mall or in Kenilworth Road. The EP is still available for download on I tunes and check out www.ukdecay.co.uk for very limited edition t shirts, hand pressed orange vinyl singles and screen prints. The band are overwhelmed and grateful for the support from Hatters and UK Decay fans, and townsfolk and we hope to reach our target of £7000. Many thanks again, more updates to follow. LTFC have been crowned Conference Premier Champions 2013/14 ! LTFC 2014 Meet the Players – Luton Town Football Club Press Release.. 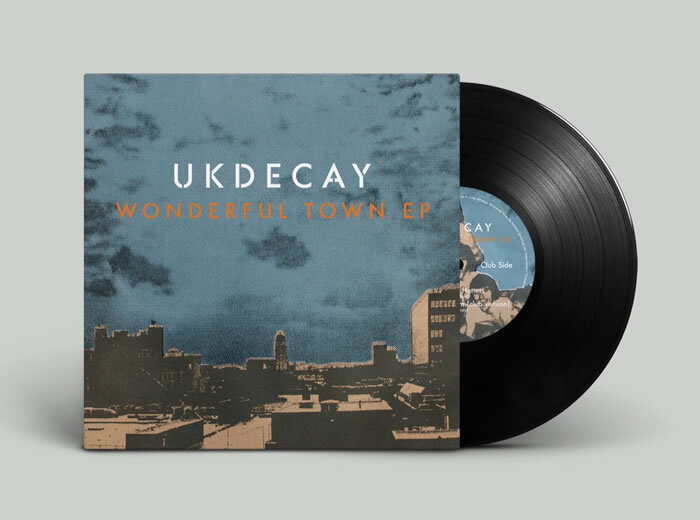 The Town are aiming to help Lutonian punk band UK Decay hit the top of the charts and raise money for Solyd with the release of the group’s new EP Wonderful Town. To help celebrate the release of this fantastic album and the news that LTFC have been crowned Conference Premier Champions 2013/14, four of your favourite Luton Town players will be in Smith Square in the Mall on Thursday 17th May between 3.15 and 4.15pm. This is a great opportunity to meet your stars and get Mark Tyler, Steve McNulty, Luke Guttridge and Andre Gray’s autographs on your copy of the Wonderful Town EP. You will be able to buy your copy from the stall and then have it signed instantly by the heroes that have helped us secure promotion back into the Football League. 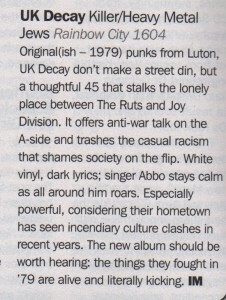 The CD can be bought for as little as £5 or why not go old school and pick up the 7 inch Vinyl for just £10. You can also buy the individual tracks on itunes from as little as 79p and remember that every copy you buy counts towards our push for another title: The charts title. end of hatters press release…. 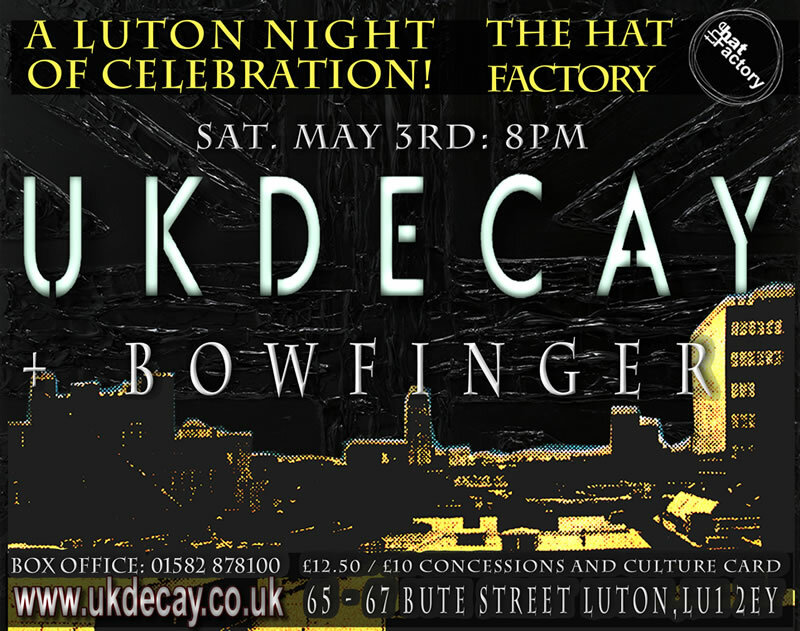 Why not come and see UK Decay and Bowfinger Live in Luton on May 3rd…. 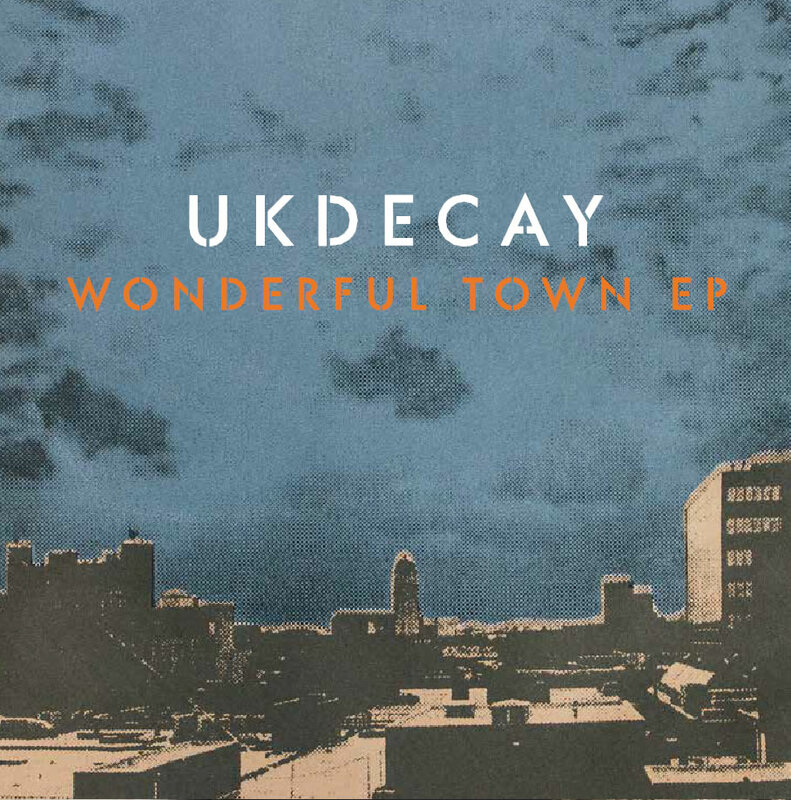 Wonderful Town Vinyl, CD and Download…information..
UK Decay’s new WONDERFUL TOWN EP is available in shops and download stores now. 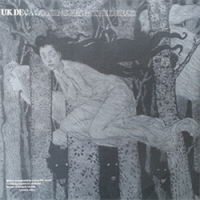 The EP is available as a limited edition 7” vinyl gate-fold sleeve with art print insert, limited edition CD gate-fold single with lyric sheet and as a download. The band worked closely with others in the town to produce the EP, using local recording facilities, design studios and pressing plants. Luton Town Football Club also got involved, with the full first team and manager joining the band in the recording studio to put down cover versions of LTFC fan favourites Bring Me Sunshine and Hatters Hatters. 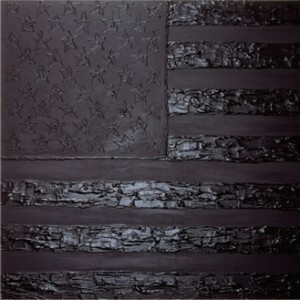 The fourth track is a second version of the lead track, but with lyrics linked directly to LTFC. WONDERFUL TOWN is also available to pre-order and buy through the club shop. All the proceeds from WONDERFUL TOWN will be split between two charities: Luton Foodbank and SoLYD – a supporters’ initiative that helps fund the club’s youth development. Its production has received the kind support of Latent Lemon Audio, ATP Media and Diamond Black, in addition to Love Luton and LTFC. It has been a month now since the album release, and thank you to everyone for their support and feedback; the band are humbled and appreciative and we do try to respond to all who tap the boards onto the various social network sites and forums. Keep spreading the Hot Sauce please!! And now perhaps timely to introduce Franko B, whose stunning artwork adorns the album. 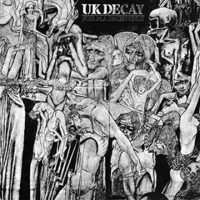 On the eve of the band’s new release New Hope For The Dead, Uk Decay are privileged and humbled to announce the collaboration with artist Franko B, whose stunning artwork adorns the album sleeve and the Killer/Heavy Metal Jews single. 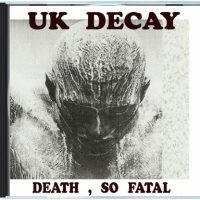 Several themes run through the songs of the album and the band’s efforts to find artwork which would encapsulate these themes and be worthy of the new material and sound, the Decay legacy, the support of the Pledgers, justice to the UK Decay communities old and new was proving very, very difficult, until contact was made with Franko that is! 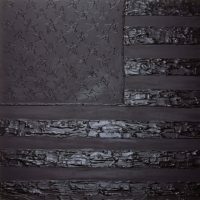 Che knew Franko through a mutual friend, art dealer Guy Hilton, and had actually missed out on purchasing Franko’s Black Stars and Stripes at the British Art Fair a few years back; and they say life has no regrets! Anyway, Che did a deal on one of Luton artist Clive Barker’s “Heart” sculptors from Franko around the same time. When Che showed the band Franko’s art, it resonated with them immediately and here’s what the guys had to say. Back to the story. Che writes Franko a short note, leaving a number for Franko to contact him on. Within a short space of time, Franko responds and listens to what Che has to say. Franko was familiar with the band back in the day, having moved to London from Italy in 1979. Abbo sends Franko a copy of the TDL mix of the album to listen to on his return from taking care of art matters in the North East. A meeting is arranged at the steps of St Johns Church in Waterloo. It is a bright, clear January. The espresso is ordered and the collaboration begins. 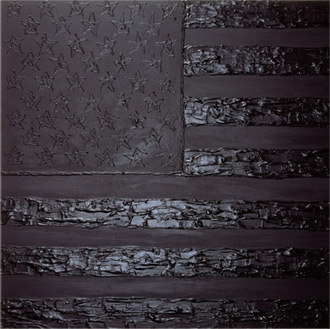 One day we may claim it back! New single ‘Killer’ available now! Killer / Heavy Metal Jews: Single. 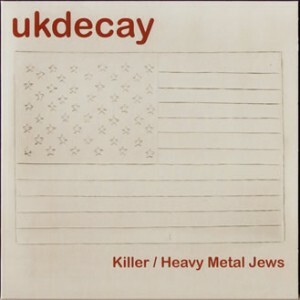 Limited edition – 500 copies only on white coloured vinyl. 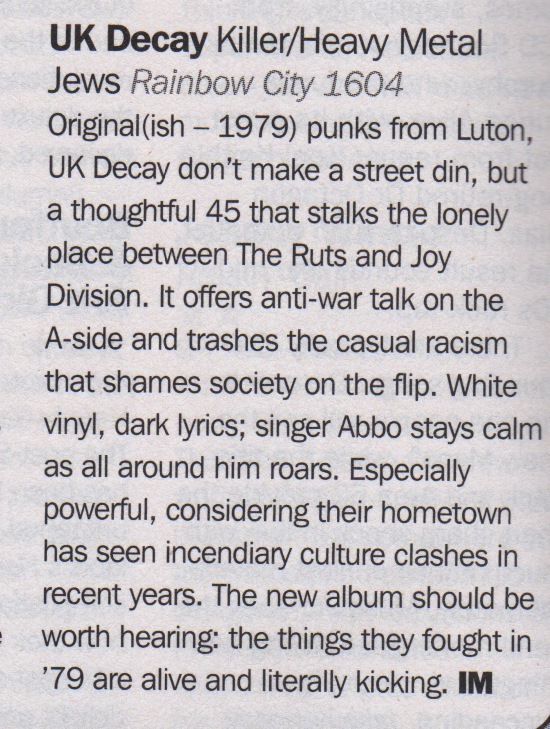 Available from Rough Trade and most vinyl retailers. Also available on download via Amazon and iTunes.